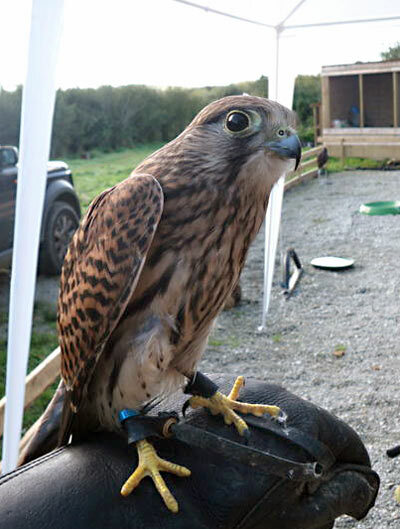 I recently spent a wonderful morning handling and flying birds of prey in North Cornwall with my mum Lyndon as her birthday treat! 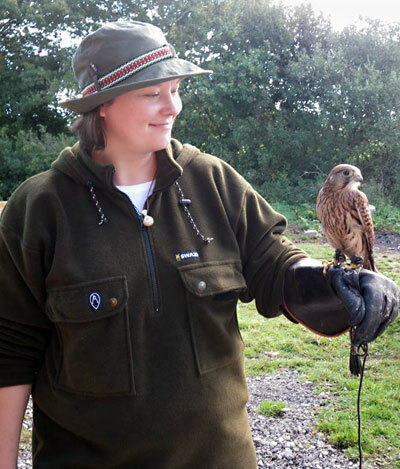 We flew Storm, a magnificent Harris Hawk, Charli, a cheeky African Spotted Eagle Owl, Salt, the sweetest Barn owl, and had the privilege of handling Belle, a beautiful Sparrowhawk plus Twilight, a very inquisitive Kestrel, and Bramble, a stunning Eurasian Eagle Owl. As well as viewing and learning about interesting breeds including a Russian Steppe Eagle. This entry was posted in Customer Posts on November 23, 2010 by Woodlore Team. 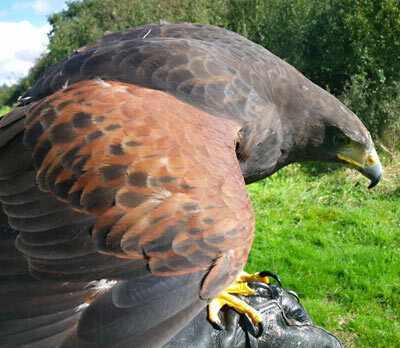 Glad you all like the photos, it was fun juggling the camera and handling the birds at the same time but well worth it! Nice pics. Lovely birds. Wow! All these courses and posts, Zoe. Hope you get the job offer from Woodlore! 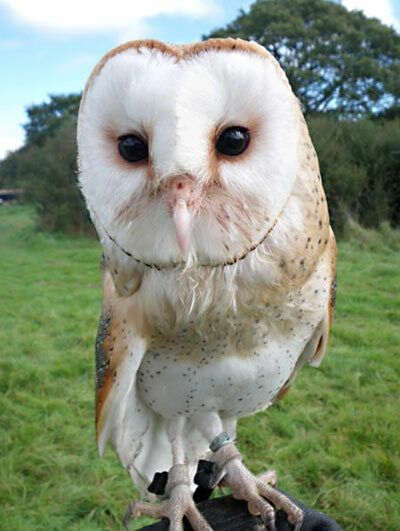 i mean, can that owl get any more superior? 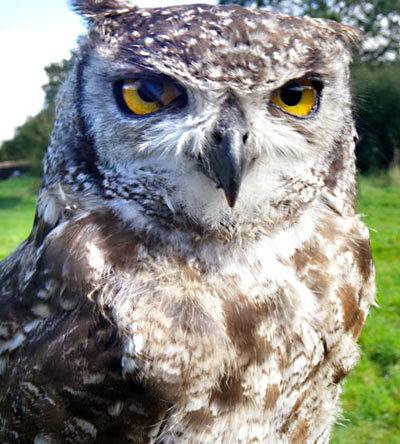 that is one owl with an attitude……..
kinda makes you wonder about being on the business end of those beaks and talons though. Nice pics Zoe. Hope you are well. Excellent photos.Obviously some attributes of these impressive birds have rubbed off on you to be able to spot the Hyena tracks, i thought the were from a bear called Pudsey!